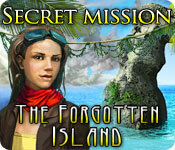 Secret Mission: The Forgotten Island is rated 3.4 out of 5 by 11. Rated 5 out of 5 by marciawhitecat from This game was FUN Yes, experts will think it's easy -- BUT I had a very good time with it. I play games to relax, not to drive myself nuts with puzzles I can't complete, items I can't find, and help that doesn't help. THIS GAME IS GOOD, I relaxed and had a fun time with it. 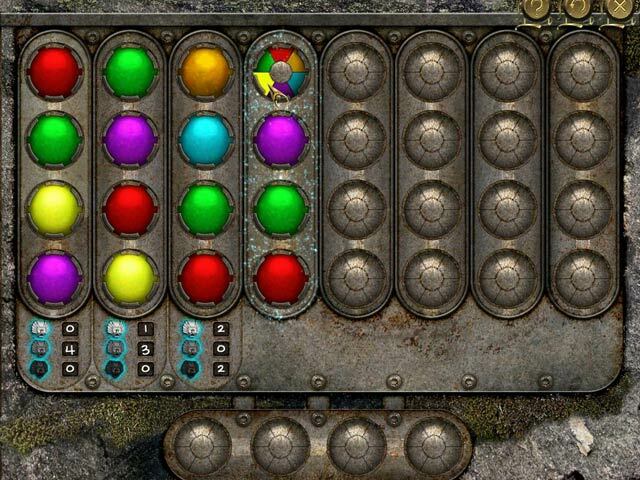 Enjoyed the puzzles which were acutally things you could get done. The help actually is good help. You can choose easy or hard. The only thing I wished it that there was more of it. And that's a good recomendation - I would love to see bigfish do some more games like this -- maybe set up an easier section. I don't really want to spend my time going thorugh the play throughs that are online because I got totally treed by some problem I couldn't get past. I enjoyed this game a lot. Highly recommend it to someone who wants to relax and actually play a game through on their own. If you like to drive yourself nuts with impossible stuff, go look for a harder game, but if you like to relax when you play games, try this one. Rated 5 out of 5 by JulieJay from Secret Mission: The Forgotten Island Brilliant game and the graphics are second to none. I wish all games were made to this standard. It might not be hard / challenging for the more expert fishes in the pond but I can't praise it enough. The only downside is the length which lookes to be 1 1/2 to 2 hours long which is a shame. It is most definitely at the top of my wish list should it ever come up in any sale. Rated 4 out of 5 by neilskinut from very easy I'll agree that it is fun but way too easy. Great for beginners. Rated 4 out of 5 by redridinghood10 from Fun, easy game Like others have said, this game is not for experts unless you occasionally, like me, like to just relax and have fun. No tension in this game. Best thing - Beautiful bright colorful graphics. Nothing hard to see in this one. Puzzles were fun, most pretty easy but still enjoyable. I got this one as one of the bonus buys for 3.99 and feel like I got my money's worth. I actually wish there were more like this. Sometimes its nice to just relax and enjoy a game that doesn't take forever. A beautiful island setting is always a plus. Rated 3 out of 5 by cowclaudia from It was ok I don't know why you would need a strategy guide on this. For an experienced "fishie" it was very straightforward. You got the opportunity to collect numerous hints (blue crystals), HOS were easy and overall game though just ok was very easy. A good game to ease your brain and get away from the doom and gloom so prevalent in games these days. 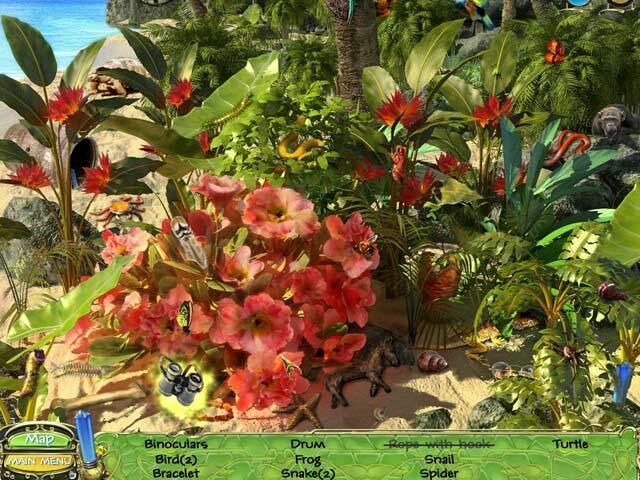 Rated 3 out of 5 by SeaBamboo from Bright, colourful & easy hidden object This is a bright colourful hidden object game set on a tropical island, the music suited the location but there were no voiceovers. At each location you will be given a task list & once there is no need to go back it will be marked as completed. There is a map & it is interactive so you can ‘jump’ between scenes. There were 2 modes of play, easy with sparkles & glints or hard with no sparkles at all. You collect blue crystals to stock up on your hints, I found more than enough but if you do run out the hint will recharge at 40 seconds on easy or a whopping 4 minutes on hard. The H0 scenes were very easy & there was at least one in each location; the mini puzzles ranged from easy to average in difficulty, they were a little harder in the hard mode. They consisted of the usual move balls to a specific square, tiles, maze, etc. The story was the usual one of doomed lovers but didn’t really add to the gameplay. This wasn’t a hugely challenging game & took me less than two hours to complete but it does make a nice change from dark, dreary visuals. Rated 3 out of 5 by Pucktweety from Beginners HO game! Like another review states, this game is perfect for a beginner but not so much for a seasoned HO gamer on BFG. I found it way too easier and way too short, but it had the potential to be much longer and much more difficult. I found some of it to be 'lazy' which is odd because the graphics and art work were brilliant and you could clearly tell a lot of time had been put into it. Rated 3 out of 5 by mspaws from Good game for those that like to explore I got stuck on this game at the very beginning and was just running around in circles. Could not figure out what to do next. If I need to keep running to the cheat guide, I dont buy the game. I like to figure things out for my own and this just required too much brain power for me! lol But for those who like those challenges this would be a good game for you. 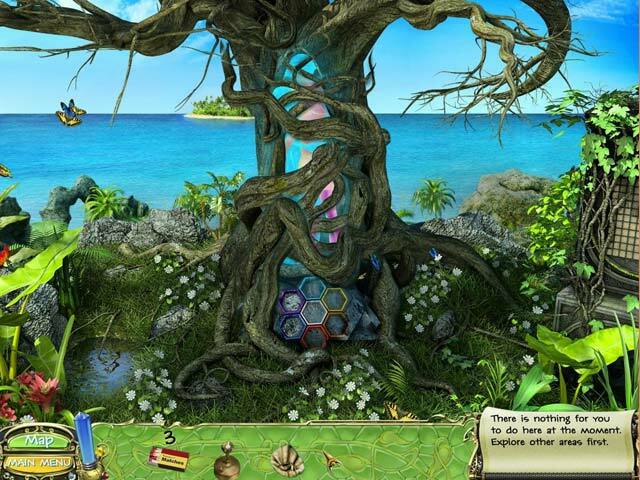 Rated 3 out of 5 by jcev from enjoyable hidden object game The game was fun with and not too difficult (ideal for dipping in and out of), but I was disappointed that it wasn't longer. I completed it within a few hours! Maybe best for a beginner. Rated 2 out of 5 by fleurburg from Dissapointed This game has OK graphics, no music to set more of a theme and overall to more of a begginers game if you play HO or like solving puzzles. Changing from scene to scene became boring as it was all the same environemnt. At the end when the game finished I thought my laptop had died, it just cut straight to the end without any sort of ending at all.